This offer meets requirements of those SCout owners who encounter the growing demand for using SmartMoto flashing/repairing/unlocking software to service the latest Motorola, Sony Ericsson, Sendo, Alcatel, Vodafone, Avio, Chat phone, Huawei, SFR and ZTE phone models *. While the order is being processed, the SCout owner will be asked to provide the SCout's serial number. As soon as the payment is made, the SCout will be automatically upgraded to S-Card usaible with Smart-Clip and SmartMoto. 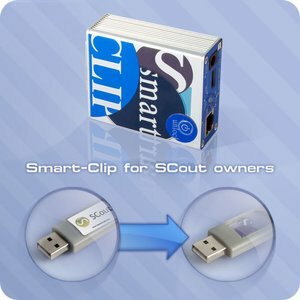 After receiving the package, the user should update the Smart-Clip with S-Card (former SCout) to the latest available versions. 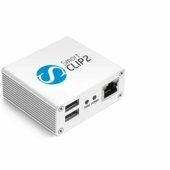 Thus by performing few easy steps, SCout user will be able to use Smart-Clip with S-Card - powerful professional device compatible with SmartMoto software. The SmartMoto allows to remove SIM lock and reset Security/User Code. Smart-Clip with S-Card works with a wide range of mobile phone models.